The woman on reception at the Henri Matisse Museum told me something in French. She asked me if I understood. I nodded. This was of course, a lie. My limited knowledge of the French language stopped abruptly on successful completion of my GCSE 'several' years ago. In hindsight I should've brushed up a bit before our five night break in the Cote D'Azur, but then it wouldn't be a proper holiday if you aren't knocking on charades door each time you order a cornet (one scoop s'il vous plaît). 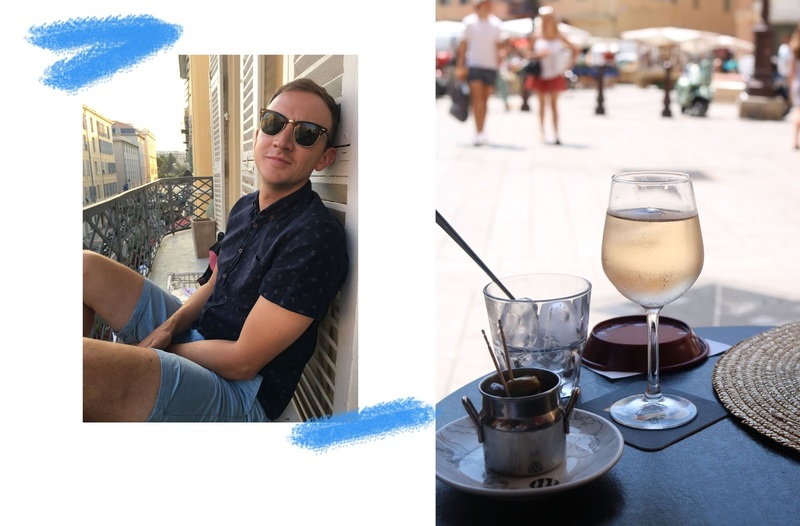 By the end of our stay in Nice's vibrant old town, I was competent enough to order successfully, two apple doughnuts for myself and Oliver. That's what an unanticipated obsession with Pomme will do for you. 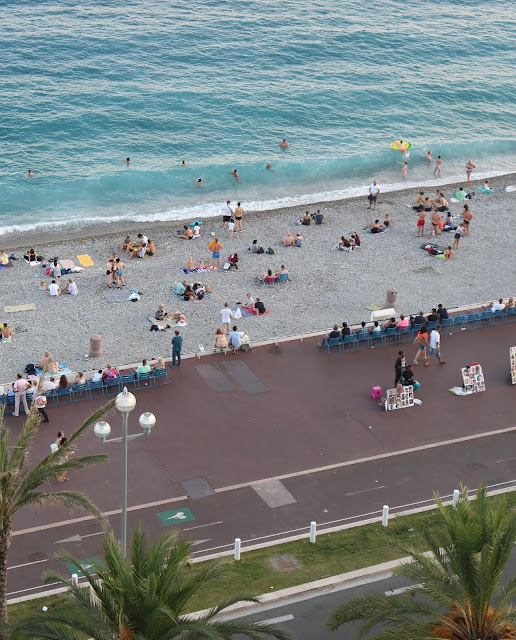 My bilingual confidence soured and gave me one more reason to love the French Riviera. 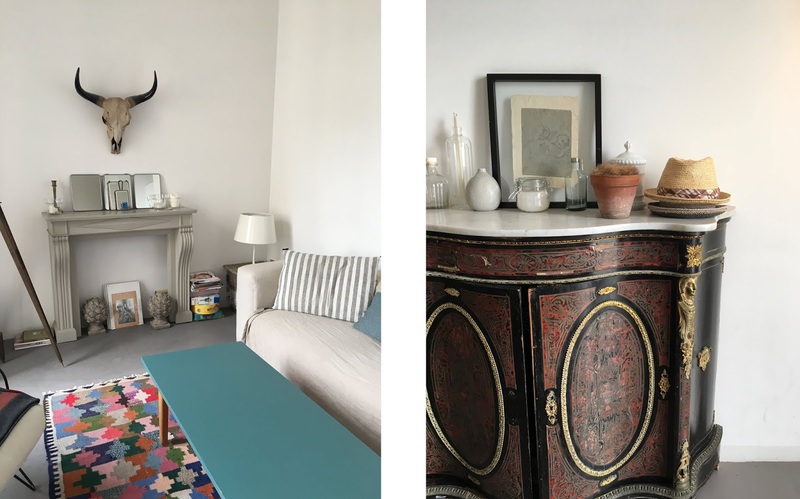 Other reasons to love the French Riviera include the AirBnB apartment we stayed in. Modern and bright with beautiful French doors that lead on to a balcony, making it easy to make the most of the sea view. 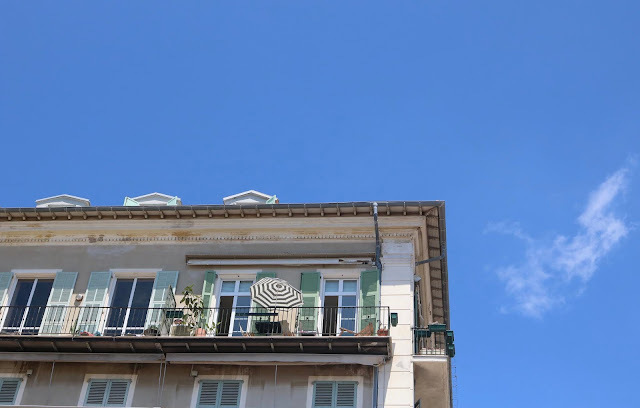 The apartment was directly behind the 'Neuf Lignes Obliques', a 30 metre long monument erected in 2010 to mark the 150th anniversary of the annexation of Nice AND the way back to our digs. Although a little noisy at night, and the bathroom was a tad on the dark side, I'd stay here again in a heartbeat. The location (across the road from a wine shop and a five minute walk from Galeries Lafeyette) and the view made up for anything that the apartment may have lacked (namely a wardrobe). Being my first time in Nice, there was a lot that we wanted to see. It's a shame therefore that I wilt as soon as I look at the Sun (you can take the girl out of Lancashire, but you can't take the Lancashire out of the girl). I coped with the heat by drinking ice cold Coke on tap, eating ice cream when not drinking coke, and slooooowly browsing the nearby chocolatier shop more than once. God bless highly efficient air conditioning. 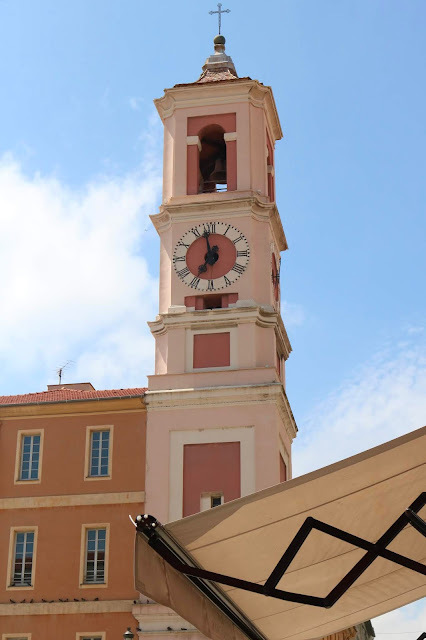 The winding streets of Nice's Old Town lead us a through a beautiful labyrinth of cafes, restaurants and pretty shops. 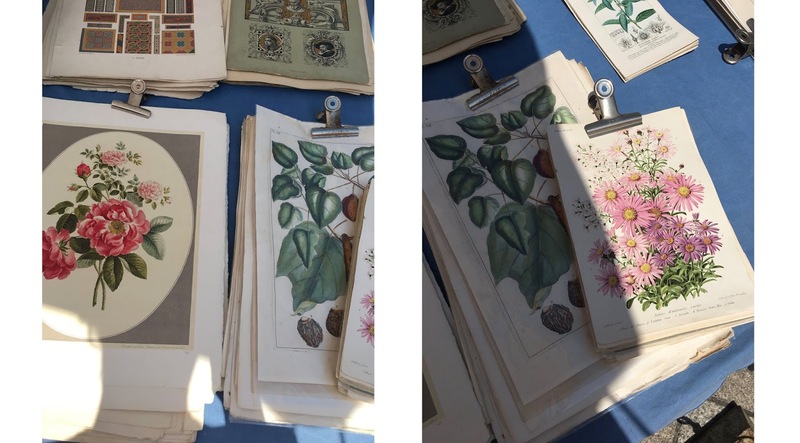 The Cours Saleya hosts a lively market of flowers, foods and antiques which were perfect for a good old nosey round. There's no shortage of lavender bags for sale, so if you happen to be experiencing a period of stress in your life, this is the place for you my friend. We hired a bike taxi to take us to the aforementioned Henri Matisse Museum. The bike broke down, and we waited roadside for a replacement which came quickly, giving us just a little time to ponder if it was possible to be any more touristy? 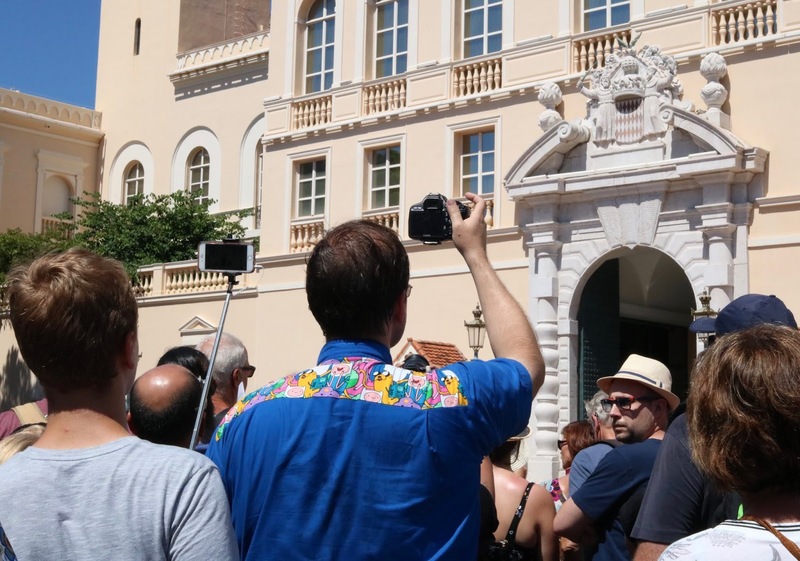 Admission to the museum was 10 euros each, although for 20 euros you can buy a 7 day ticket giving you access to several museums and exhibitions. Had we been there for longer I would've liked to have visited the Museum of Photography but a combination of the heat and a stinking cold that I came down with, meant we didn't get round to it this time. My favourite day of our visit was spent beach side, lounging under a parasol by the sea. 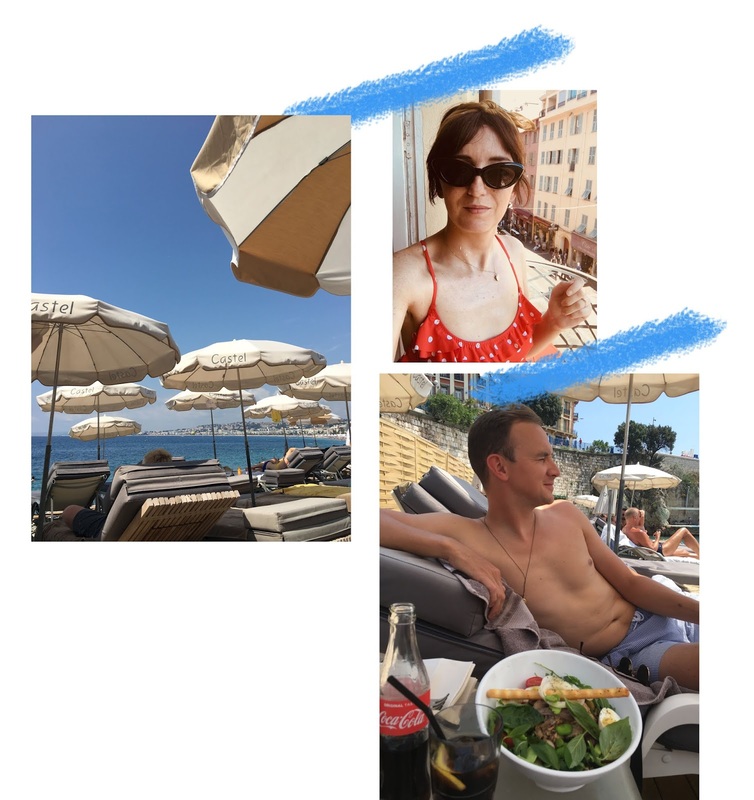 For 20 euros each for a lounger, and 5 euros for a parasol, we spent the day at Castel alternating between dipping in the bluest of seas and making the most of the waiter service food and drinks. Actual heaven ... bar the pebbles on the beach that make it almost impossible to enter the water gracefully. I lost my footing slightly as the pebbles rolled away under my feet and had no option but to style it out and literally run into the water. Clutching my newly acquired yellow lilo, and clad in necessary jelly shoes, I did an excellent impression of an excitable 12 year old girl. We took the short train ride to Monaco, to see how the other half live, to speculate about how they've amassed their wealth and to conclude that money doesn't buy you happiness, before gazing wistfully out of the window on the train ride back to Nice. 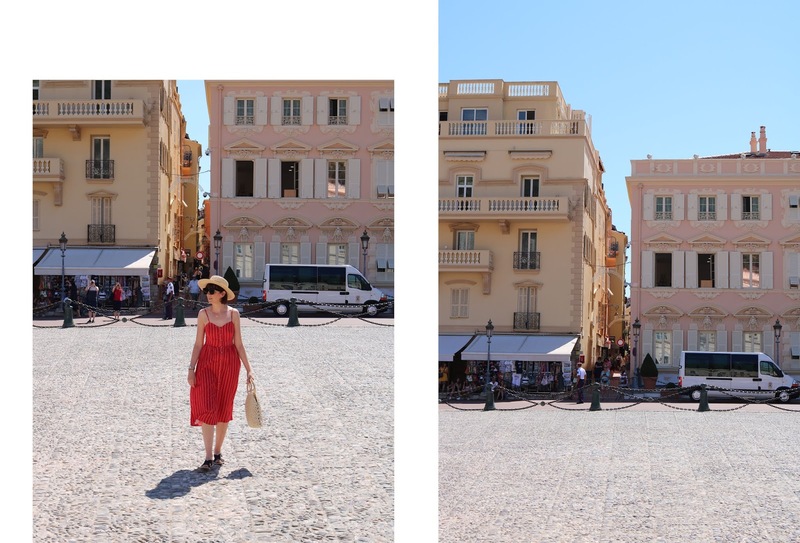 Before our wistful return to Nice however, we braved the steps in the heat to Monaco's Pink Palace to watch the changing of the guard and to take in the view of Port Hercules. Some poor lass fainted in the heat and somewhat selfishly I had the thought thank frig it wasn't me, amid flashbacks to a trip to Italy trip two years earlier when that time, it was me. Heading for shade, and ice cold Coke, we had a spot of lunch before visiting a beautiful little chapel. It's become a travel tradition of ours to light a candle if we stumble across pretty chapels. Usually Oliver waits while I light the candle, but what with the year we've had, this time he lit one too. We rounded off our Monaco visit with a perfectly chilled glass of Bollinger at the Hotel De Paris. An absolute bargain at 26 Euros each, gulp, but worth every penny. My only regret was forgetting to visit the ladies before we left. I'd planned to pee in exquisite surroundings. To our surprise, we returned to our digs to find Hugo Lloris (captain of the French football team - I didn't know either) greeting crowds from the balcony of the building next to us. We poured ourselves a glass of wine and enjoyed a birds eye view thinking, it'll be England next time. And that my friend is a seamless link to where I find myself today. England, with not a Tarte Aux Pomme in sight and that sinking feeling that can only mean one thing.... I've got bloody work tomorrow. Thanks so much for reading. If you need me I'll be propped against a photocopier, looking forlorn dreaming of rooftop drinks at the Meridien Hotel, and sunset strolls along the Promenade des Anglais. Which incidentally are other reasons to love the French Riviera.